Containing the city's largest lake and a landmark white pagoda, this is the capital's oldest Imperial garden, with an 800-year history. Beihai Park is the best single park to visit, and a wonderful place to stroll, especially since it is within walking distance of the Forbidden City. Beihai Park is located in the center of Beijing City. 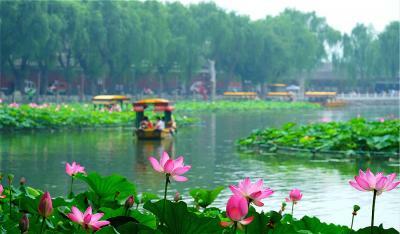 Its entire area is about 690000 square meters, including 390000 square meters of water. 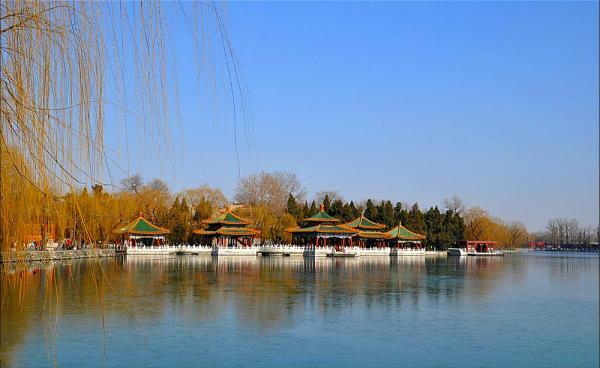 Beihai Park used to be an imperial garden for emperors and royal families to leisure, recreation, government affairs dealing and sacrifice during the Liao, Jin, Yuan, Ming and Qing Dynasties. It is one of the oldest, the best-preserved, the most comprehensive and the most representative existing imperial gardens in China. 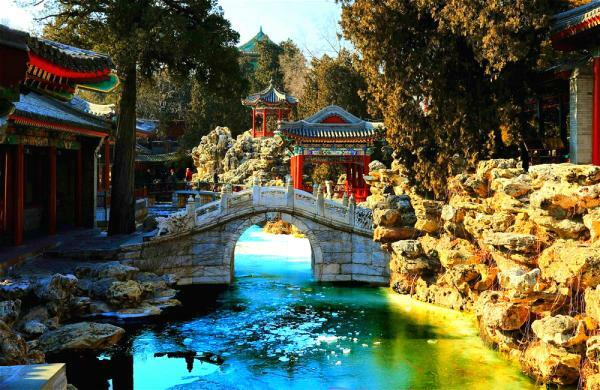 Designed with the concept of “One Pool Three Celestial Mountains” (Taiye Pool, Penglai Mountain, Abbot Mountain and Ying Chow Mountain, where live immortal celestial beings), Beihai Park is full of rich fantasy mythic quality. The scenery here is particularly beautiful. 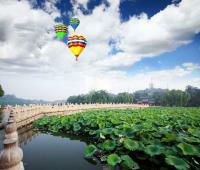 There’re many famous and classic landscapes you should not miss when touring in the park. 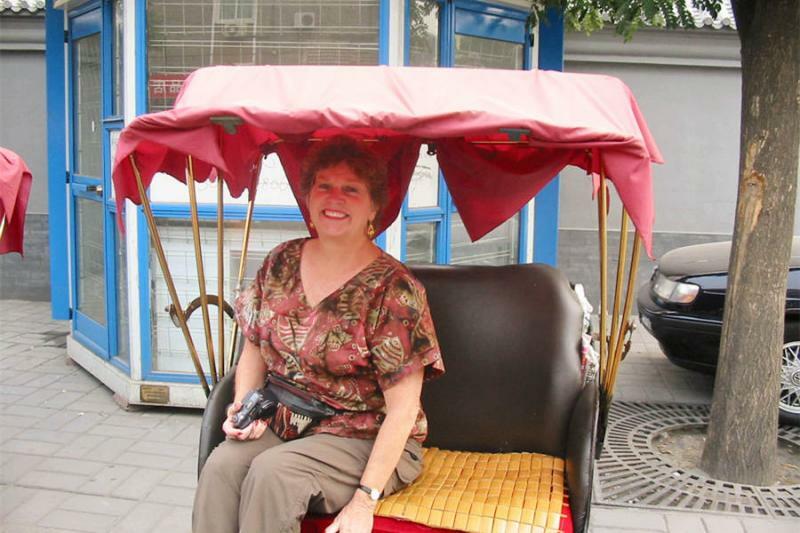 Located just outside the south entrance of the park, the Round City contains a distinctive countryard with pavilions, halls, corridors, bridges and ancient trees, a white jade Buddha statue enshrined in the hall, and a massive jade bowl that was once the prized possession of Kublai Khan. 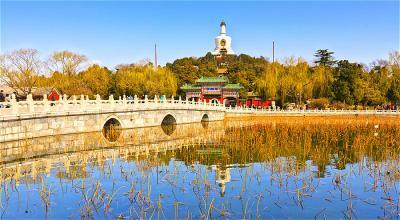 As the landmark of Beihai Park, White Dagoba has a Tibetan lamaist style. Different from most dagobas, the White Dagoba is hollow inside, with niches shrining silver boxes for Buddha Sarira. And there’re Lama Scriptures, Buddhist holy relics, as well as other tributes such as textiles, grains, medicinal materials, teas, fruits, etc. hided under the ground. In front of the dagoba stands the Hall of Good Cause (善因殿). 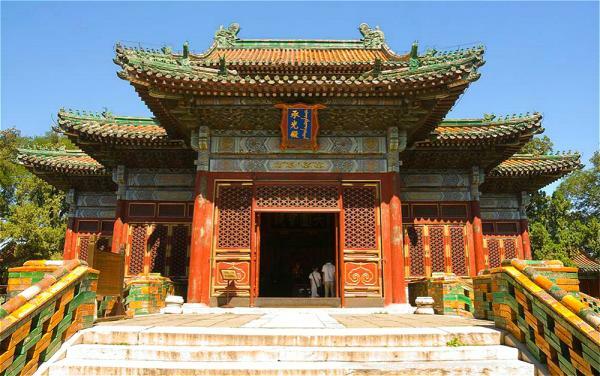 The inside walls of the hall are made of 455 pieces of glazed tiles carved with Buddhist statues. 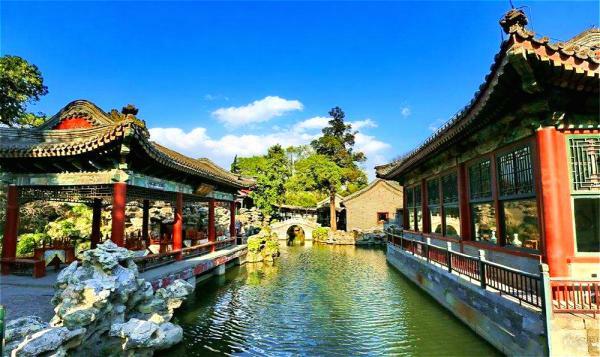 Built in Ming Dynasty, the Five Dragon pavilions are 5 connected pavilions with spires and pointed upswept eaves, which look like a huge dragon when they appear together from a distance. They used to be a place for emperors, royal families and civil and military officials to fish, enjoy the glorious moon and dazzling fireworks. 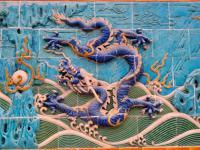 Built in 1756, the Nine Dragon Screen is 5.96 meters high, 25.52 meters long and 1.6 meters thick. 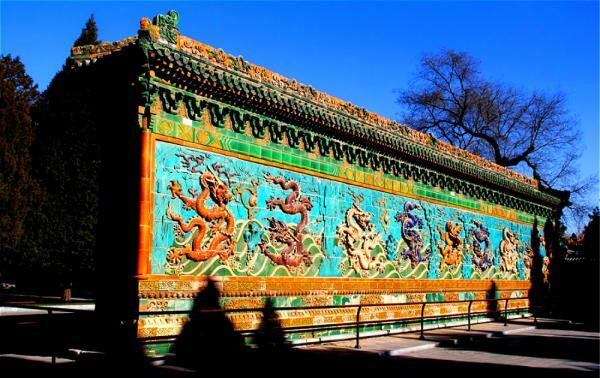 It is one of the most delicate of China’s 3 surviving nine-dragon walls (the other 2 are respectively in the Forbidden City and Datong).The Nine Dragon Screen is made of glazed bricks of seven-colors. It has 9 huge vivid coiling dragons that play with pearls in the clouds on each side of the screen and big or small dragons in different postures on the two ends and eaves, which can count up to 635 dragons on the screen. Even nowadays, the Nine Dragon Screen is still well-preserved and bright in color, showing the superb and mature carving and painting techniques in ancient China. 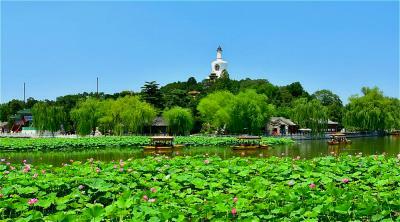 On the north bank, Jingxin Study is a garden within garden, which reflects the essence garden art of northern China. It covers an area of 4700 square meters, used to be the private study of crown prince during Qing Dynasty. There’re many gorgeous pavilions, halls, towers, corridors, bridges, pools, rockery fold stones, numerous odd-shaped rocks... all of them are artistically arranged and landscaped. 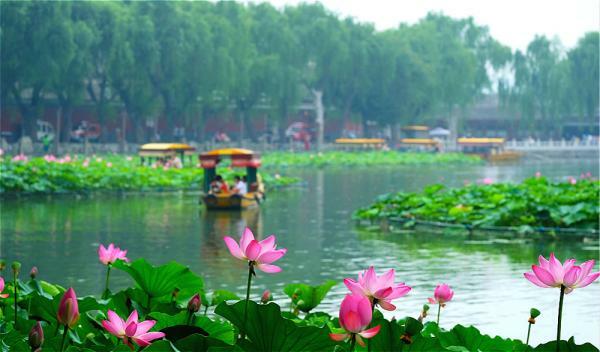 In addition to enjoy the classical landscape mentioned above, there’re also some interesting activities that you can participate in, such as boating, kicking shuttlecock, playing diabolo, chatting with the local elderly about the Imperial unofficial history of Beijing City, appreciating lotuses in Lotus Flower Festival (from the middle of July to the late August), taking part in Chrysanthemum Exhibition (every November of a year), joining the Blessing Culture Festival (from the 26th day of the twelfth lunar month to the seventh day of the first month every year), watching a Qing Dynasty army "ice play" (a show performed by college student volunteers, which reappears royal family's routine ice activities in winter during the Qing Dynasty), etc. 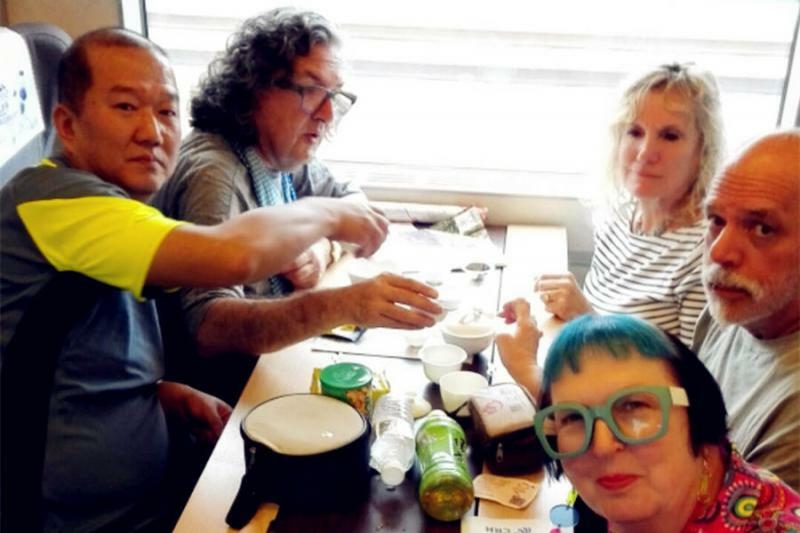 Take Subway Line 6 and get off at Beihai Bei Station. 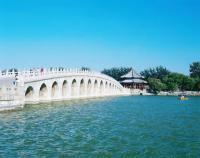 North Gate of Beihai Park: Take Bus 13, 42, 90, 107, 111, 118, 609, 612, 623 or 701 and get off at North Gate of Beihai Park. 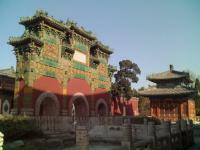 East Gate of Beihai Park: Take Bus 5 or 609 and get off at Xibanqiao Station. South Gate and Southwest Gate of Beihai Park: Take Bus 5, 101, 103, 109, 124, 619, Special Line 1 or Special Line 2 and get off at Beihai Station. 1. No smoking, no pets allowed access and no fishing in the park. 2. 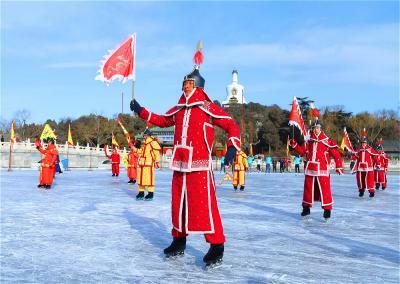 The service time of Chinese and English-speaking guides beginning from 9:00 to 16:00, and the reservation of guides should be made 1 day ahead. 3. 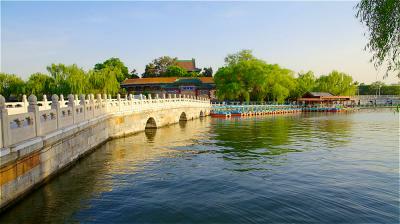 I suggest you combine the Forbidden City Tour or Jinshan Park Tour with Beihai Park Tour.